This enlightening and reflective guide studies the psychological impact of racism and discrimination on BAME (Black, Asian and Minority Ethnic) people and offers steps to improve wellbeing. It includes definitions of race, racism and other commonly used terms, such as microaggressions, and evaluates the effect of definitions used to describe BAME people. Each chapter of the book focusses on one category of wellbeing - self-acceptance, personal growth, purpose in life, positive relations with others, environmental mastery, autonomy - and includes case examples, spaces for reflection and practical, creative exercises. 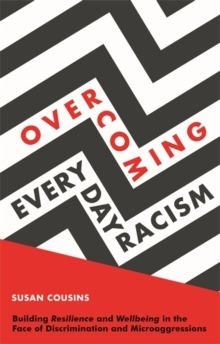 For use as a tool within counselling and therapeutic settings as well as a self-help tool by individuals, each category provides a framework for thinking about how to manage everyday racism, live with more resilience, and thrive.